Here’s a question for you: When you search on Google, are you also signed in to Google? If so, there’s a good chance Google is saving a so-called “Web History” of each and every one of your searches, stretching back for months or even years. I checked my own Google account and found that Google has saved nearly 30,000 of my prior searches, plus a record of the links I clicked based on those search results, stretching as far back as 2006. Your Web History contains a comprehensive list or all your Google searches, potentially stretching back years—and yes, you can delete some or all of your searches. Believe it or not, I can tell you that on December 29, 2007 at exactly 4:51 p.m., I did a Google search on “new years smith street brooklyn”—probably because I was hunting for a good place to spend New Year’s Eve. 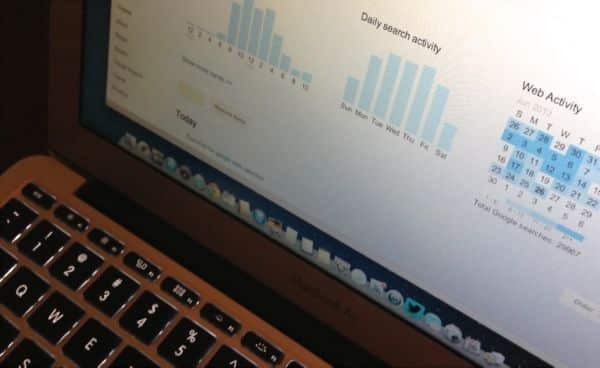 In addition to the enormous list of searches, your Web History also boasts a color-coded calendar that shows which days of the week you’re doing the most searching. And since your Google Web History is (of course) itself searchable, it makes for a handy (if, perhaps, a bit unsettling) way to find an interesting web page that’s since slipped your mind. Now, don’t like the idea of Google saving your searches? Well, good news and bad news. Good news first: not only can you stop Google from saving your searches in your Web History, you can also delete your Web History selectively or entirely. The bad news? 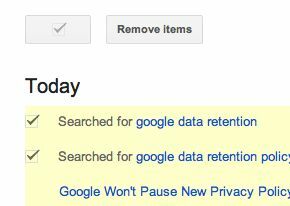 Zapping your Google web history doesn’t wipe out every last trace of your past Google searches. Indeed, Google (like many other search engines) may share the search and usage data stored on its servers with various “partners,” advertisers, or even law enforcement. Food for thought, particularly in light of the recent PRISM controversy. You can stop Google from saving searches in your Web History, but that doesn’t mean Google isn’t still keeping records of your search activity. Sign in to your Google account, click your user icon in the top-right corner of the page, click Account, then scroll all the way down and click the “Manage your web history” link. You can also just click this link: history.google.com. You should now be looking at your personal Web History as Google sees it—interesting stuff, actually. You can browse your history using the navigation links to the left (anything from “Web” and “Images” to “Shopping” and “Maps), or by clicking the calendar on the right. The days on the calendar are color-coded based on your search activity, with the darker-blue dates representing the days you searched the most often. See anything in your Web History that you’d like to delete? If so, click the checkbox next to the item and click the “Remove items” button. Want to delete everything in your Web History? Click the gear icon in the top-right corner of the page, select Settings, then click the “delete all” link. Looking for more Google tips? Click here! Note: This article was first published in February 2012, and it’s been revised to reflect changes to Google’s Web History interface and settings.